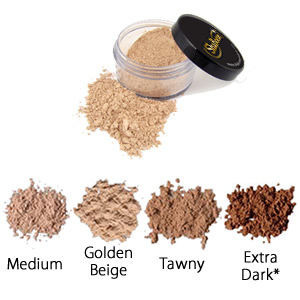 A bronzer powder with star qualities! Neutralizes imperfections and creates a glamorous glow. 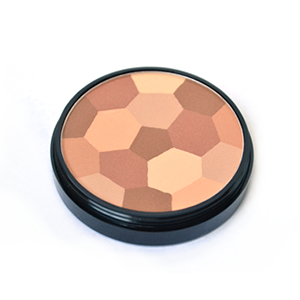 A bronzer powder with star qualities! Neutralizes imperfections and creates a glamorous glow. 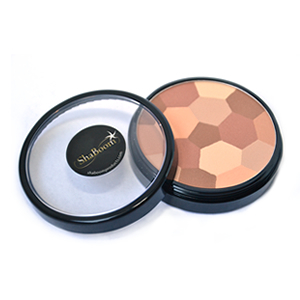 Can be used alone for light, bright concealing or over your mineral powder for extra coverage. 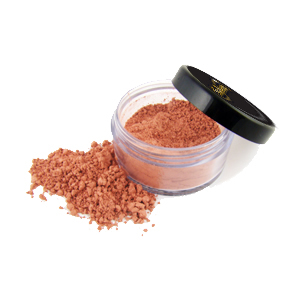 Apply with blush brush to face, neck, and chest for a natural golden glow. ShaBoom Products is the long-term fundraising machine for the OneMama Organization with 20% to 40% of proceeds going back to OneMama clinics around the world. For more information visit www.onemama.org. 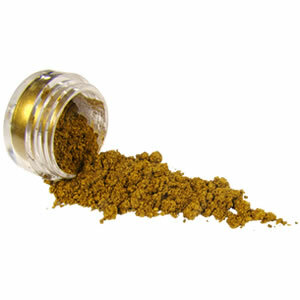 Mica, Nylon-12, Octyldodecyl Stearoyl Stearate, Lauroyl Lysine, Bis-Diglyceryl Polyacyladipate-2, Cetyl Dimethicone, Phenoxyethanol, Dehydroacetic Acid, Sorbic Acid, Benzoic Acid, Tocopheryl Acetate. May Contain: Titanium Dioxide CI 77891, Iron Oxides CI 77491, 77492, CI 77499, Ultramarines CI 77007, Manganese Violet CI 77742, Red 6, Red 30 Lake, Yellow 5 Lake, Chromium Hydroxide Green, Chromium Oxide Greens.